Did Kim make peace with the women before she exited the series for good? 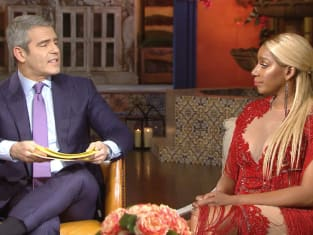 That was the big question on The Real Housewives of Atlanta Season 10 Episode 21 as the reunion came to its emotional and dramatic climax. However, despite Kim being apologetic for her multitude of issues with the case, one person was not ready to bury the hatchet. Meanwhile, NeNe Leakes decided it was time that she got to say what she always wanted to her nemesis.